Mr. Guice received his B.A. degree in 1988 with honors from Northeast Louisiana University and received his J.D. degree in 1991 from Louisiana State University Law Center. 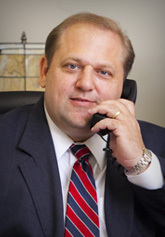 Since 1991, he has concentrated in areas of employment and general litigation. Prior to joining the Law Firm of Hammonds, Sills, Adkins & Guice, Mr. Guice was Regional Counsel for the Louisiana Association of Educators. Mr. Guice is a member of Fourth Judicial District, the Louisiana Bar Association, Louisiana State (House of Delegates 1996-1997), the Judge Fred Fudicker, Jr. American Inn of Court, the Louisiana School Attorneys Association, and the National School Boards Association Council of School Attorneys. Mr. Guice is a frequent speaker at seminars and in-service programs. Mr. Guice is a resident partner in the Monroe office.